Cult of Luna’s is one of the strangest stories in rock. 2003’s 'The Beyond' was a stone cold masterpiece and after a decade of unbroken activity, they have launched new album 'Vertikal' with a London gig at the Garage. I can’t think of another band with such an amazing track record, still operating on that scale. I have nothing against the Garage as a venue – it’s just that, well by now I would expect them to be playing somewhere bigger. It’s also far from the case that the intervening years have been barren. Produced in their home country of Sweden, all of Cult of Luna’s albums are seriously up to snuff and some, such as 'Salvation' (2004) and 'Eternal Kingdom' (2008) are considered by learned opinion to be superior to 'The Beyond'. Personally, I wouldn’t agree with that as I think that 'The Beyond' gets better with age, and was well ahead of its time when released - even it’s spoken word ending has turned out to be amazingly prescient. But I could be persuaded that 'Vertikal' is not far behind, although it represents some pretty fundamental changes in style and personnel. It’s their first album without vocalist Klas Rydberg and it takes keyboards and samples up a substantial notch in their essentially guitar-driven sound. That said, even without Klas, five of the seven band members are veterans of the 'The Beyond'-era and Johannes Persson handles the majority of the vocals terrifically well. Cult Of Luna are supreme exponents of a rather heavy and grinding form of post-rock (I suppose it is time I should tell you that), but they clang as much as grind and now, thanks to Anders Teglund’s prominence in the mix, they shimmer as well. 'Vertikal' features several lengthy tracks with 'Vicarious Redemption' at nearly 19 minutes being the most ambitious – it’s a real tour de force. 'Vertikal' is also a concept album, allegedly inspired by Fritz Lang’s 'Metropolis' - perhaps by contrast one of the most over-rated films of all time, and it opens with brooding synthscape 'The One' before breaking into the naked aggression of 'I: The Weapon'. Thereafter the mood shifts are indeed handled a little like a movie soundtrack, although there is no obvious lyrical connection to the aforementioned film. 'Vicarious Redemption' comes next and remaining highlights include 'Mute Departure' and 'In Awe Of' – perhaps my favourite track – before 'Passing Through' draws things to a rather gentle close. 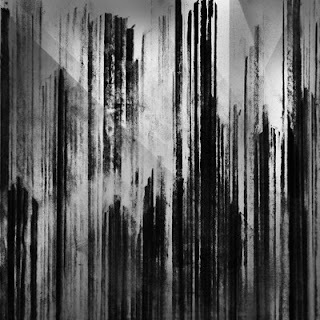 Overall, the album combines the sound of Mogwai with the technique of Neurosis whilst retaining the band’s distinctive melodic interplay, and although Cult Of Luna are often compared to others on the post-rock scene, I find their music quite thrillingly unique. So why aren’t they more well known and more widely appreciated? I couldn’t exactly say – I think they are one of the very greatest bands I’ve ever come across and they have sustained the highest quality of musical output across what is by modern music standards an unimaginably long timespan. Whatever others may think, this album gets my first, and perhaps only, 10/10. It’s really the least Cult Of Luna deserve. 'Vertikal' is available to purchase at amazon.co.uk. Find more info at cultofluna.com.